USB Disk Security is a program that aims to detect any virus before it has a chance to infect your memory stick. By their very nature, USB drives are prone to infection. You stick them in strange computers, share them with your friends and lend them to people for their files and downloads, so it's no wonder that when you use them, there's a risk that they could end up infecting your computer with something nasty. Once you install USB Disk Security it automatically runs when a flash drive is inserted. It checks for infections, and provides some other features, such as a list of the programs that automatically run at start-up. 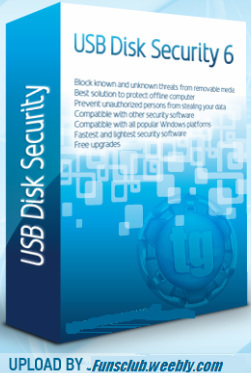 USB Disk Security has other features, such as a USB scan tool and repair options, but these are not available in the trial version. When minimized, USB Disk Security will sit in the task tray discreetly. From this menu, you can enable and disable auto-scanning, as well as updating the program. The limitations on the trial version of USB Disk Security are a bit of a disappointment, but the program is so unobtrusive and efficient at scanning recently-inserted USB drives that it might be worth downloading anyway.